The photographer Rafal Milach and the graphic designer Ania Nalecka will be in April at Fonderia 20.9 in Verona and at D.O.O.R.in Rome for our educational program. They will have a talk and a two days workshop. 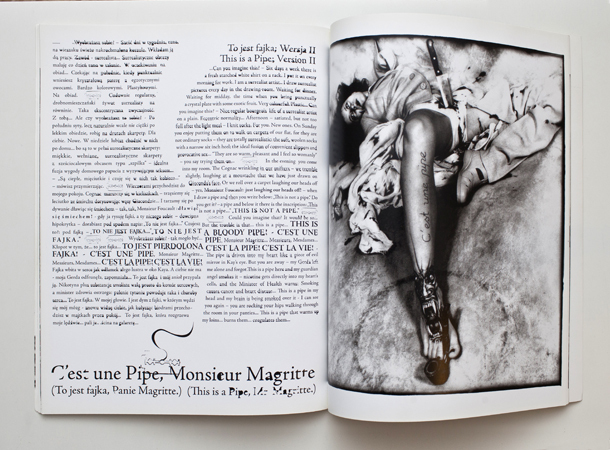 The workshop will be held by a photographer and book designer. in-depth review of participant’s work with the focus on how to transfer the story into a book. Participants should bring prints sized at least 13x18cm of body of work (preferable one story) they would like to work on. The dummies are also welcome ( but not necessary). Rafal Milach. Photographer from Warsaw. Graduated from the Academy of Fine Arts in Katowice (Poland) and the Institute of Creative Photography in Opava (Czech Republic). Exhibited his work in Europe and Asia. Received grants from the Magnum Foundation and Ministry of Culture of Poland. Winner of World Press Photo and Pictures of the Year International. His work is in the museums of Poland, Japan, and Germany. Creator and member of Sputnik Photos Collective. ..How did the idea of working in Iceland come about, since all the rest of your work is done on Eastern Europe? Well, this is quite strange actually. We started to work with our project coordinator Marzena who was in love with Iceland and she found this grant. I was quite sceptical about it because it wasn’t my interest at all, I would rather use the money to produce something in Eastern Europe or further East. But as we are a collective who lives from grant to grant, we try to use different opportunities, because we have to survive somehow. However, it was a really good experience, so after a few years we decided to go back again to make films. Aside of the fact that Iceland is absolutely beautiful, for me it was super challenging because I have never worked and don’t feel familiar with nature photography or photography which doesn’t involve strong human traces. Iceland generally is like a big village. I had to find a way to photograph, because visually it was something totally new for me. I always consider myself more as a urban photographer, but I think I managed to overcome this issue somehow. ..So that’s why you used such a wide range of approaches to photography in In The Car with R? Yes, and that’s why this story is so autobiographical. I tried not to show Iceland at all, but to show myself. ..And it goes for the writing too. It speaks a lot about photography and the road trip. Yes. But it’s about us, the writer and myself, in the first place, not about the place itself. I don’t know if I could work in such a spontaneous way again, but at that time I needed it. It was a very important project in terms of my approach to photography. 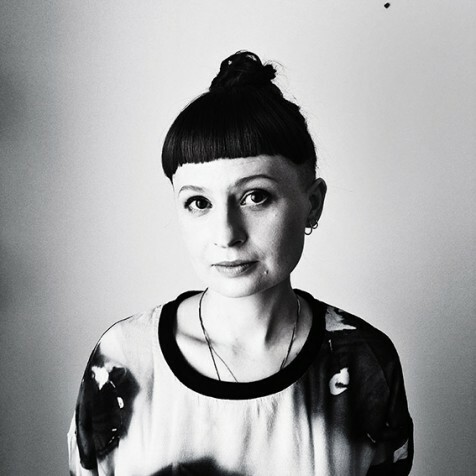 Ania Naletcka is is a graphic designer, art director and book designer at Tapir Book Design, collaborating with Sputnik Photos collective, based in Warsaw, Poland. Among others, she has designed the books 7 Rooms, Black Sea of Concrete, In the Car with R by Rafal Milach , Swell by Mateusz Sarello and IS(not), At the Border, Stand BY and Distant Place by Sputnik Photos. Books designed by Ania have been awarded the 69th and & 71st POYi The Best Photography Book Award (first prize in 2011 and first prize in 2013), ParisPhoto/Aperture Foundation Photobook Award (2012 and 2013), The New York Photo Festival (first prize in 2011), Photography Book Now (2009 grand prize and 2011 first prize), Art Books Wanted International Award (2013) and Publication of the Year, Fotofestiwal in Łódź (first prizes in both categories, 2013). She has also co-curated Sputnik Photos’ exhibitions Stand By and Distant Place, Photo-eye for Best Books of 2012 (best books by Sputnik Photos) as well as the Curated Bookshelf with Foam Museum in Amsterdam. 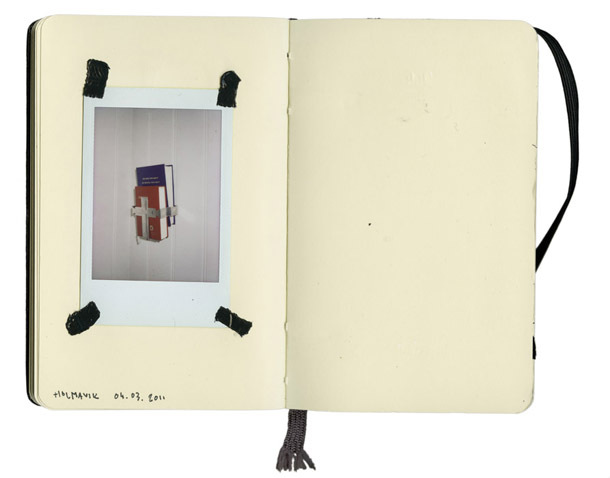 …What have you learned about bookmaking and what tips can you give to people who are interested in making photography books? I try to share my own experience. The first question I would ask myself or a photographer who comes to work with me: why do you want to make a book? You are choosing a specific media and it should be a conscious decision. If you have a body of work, you can also present it as an exhibition or make a slideshow. It might sound aggressive, but that’s the first question. 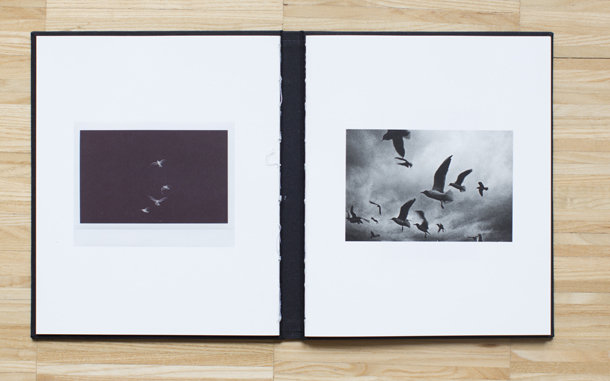 Do you think a lot of photographers make books just for the sake of making them? Yes, because it is a sort of trend. Ok, I finished the project and now I have to make a book. For me not every project works as a book, but sometimes it can add something. There are some photographers who start their projects already thinking about a book. The second thing, which I found very liberating for myself and any other creative person, is that there is nothing new under the sun. We don’t have to try to reinvent the book. I strongly believe that everything has been done before, even if I don’t know about it. Probably in the 20s of the last century. So don’t try to be very unique or to surprise everybody by coming out with something very special, new and exciting. You have to realize that you are part of a very long tradition of making books, of the wider scene of this medium. Of course, there have been photography books since photography was invented, but you also have to think about books in general – art books, literature. 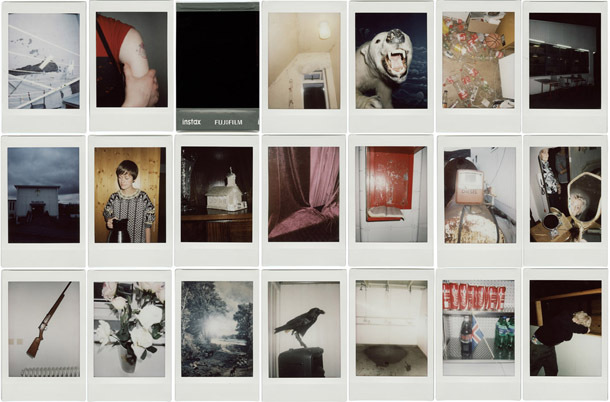 I really think that the photobook is somewhere between a telephone book and a poetry book. When getting into doing things, sometimes we forget about the basic stuff. The first thing for me as a designer is – the form has to follow the message. The message is the most important. So we don’t start from: OK, I saw a book with a nice cover, let’s do something like this! You have to start from “why” and then find a proper execution. Another thing I face is that sometimes the photographer has been working for years on the project, and for him it is so obvious that it becomes very difficult to summarize it in a few words, to really explain what you want to say. Of course, there is a saying that a picture is worth a thousand words, but it is crucial to choose these, let’s say five words. Because then I have something to start with, and in the process I can always go back and check if we are still on the path we should be on. And it’s also useful for the photographer to be really precise about what he wants to say. “…What else? I always talk about the construction, conception, all these little solutions, but in the end photographs are the most important. [Designing the book] is like making the frame for photography.